Once again we have reached the most romantic time of the year and the cooling winter breeze might just be the signal for you to begin your romantic surprise. 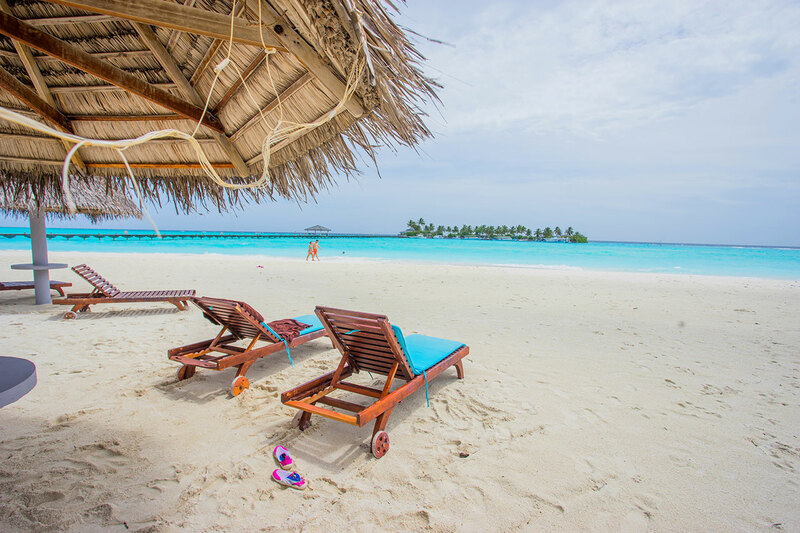 Whether you want to go out on a date a sweet honeymoon, we have some of the most romantic destinations to celebrate your intimacy. Asia isn’t just the biggest continent in the world, but it is home to myriad of the most beautiful destinations that cultivate colourful cultures, fascinating geography, and friendly locals. Pick a destination or two from our list, and it promises to be the most memorable trip for you and your love one. Sanya is the southern island paradise of Hainan province and the seaside destination for millions of Chinese travelers and international travelers who wish to get away from the freezing winter in November to February. With similar latitude as Hawaii, Sanya is comfortably warm at the average temperature of 26 oC and has plenty of beaches and lush rainforest to explore. 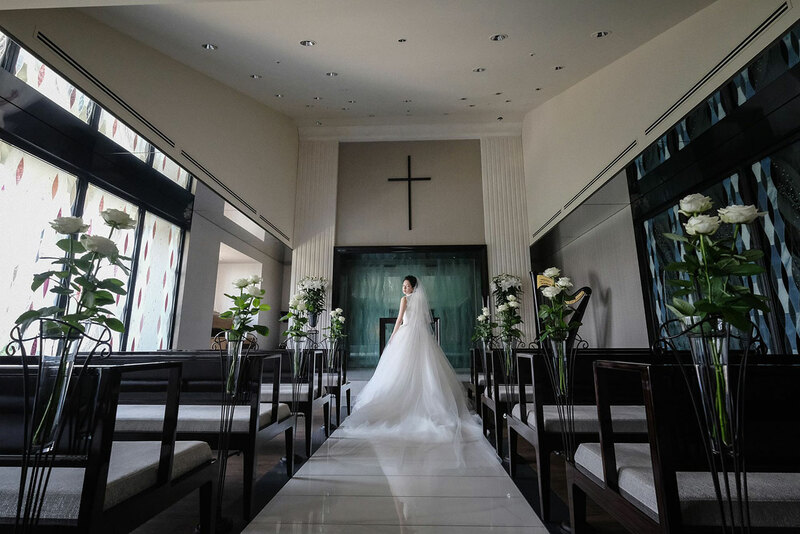 The lively, yet romantic island paradise vibe, pristine white beaches, and a long list of 5-star accommodations on Sanya truly make it an excellent wedding and honeymoon destination. 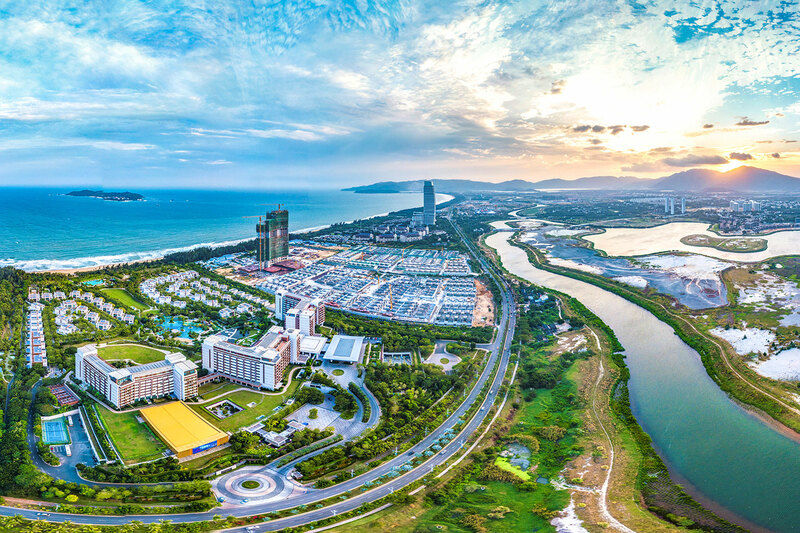 Things to do: A romantic stroll on a beach never gets old, especially in Yalong Bay, or the crescent moon Dadonghai Beach, but why not be more adventurous and fly over Sanya sky on a helicopter to see the spectacular views of the paradise. The helicopter tour will take you to see Sanya’s most popular attractions such as Sanya Bay coastline, East Island, Phoenix Island, Luhuitou, Wuzhizhou Island, Haitang Bay, and Nanshan Cultural Tourism Zone. Book your sky adventure at www.yltyhk.com. 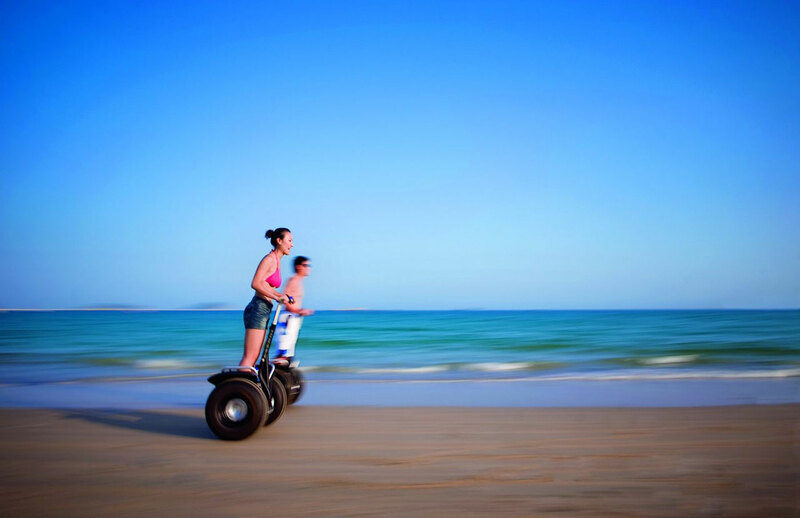 A romantic stroll on a beach never gets old, especially in Yalong Bay, or the crescent moon Dadonghai Beach, but why not be more adventurous and fly over Sanya sky on a helicopter to see the spectacular views of the paradise. 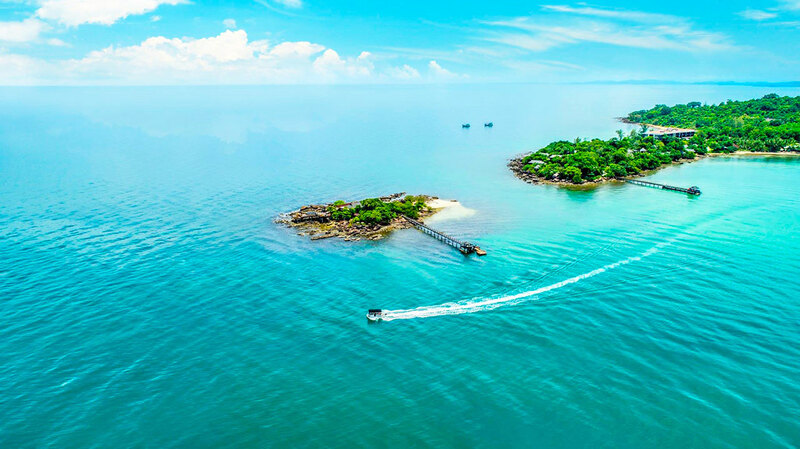 The helicopter tour will take you to see Sanya’s most popular attractions such as Sanya Bay coastline, East Island, Phoenix Island, Luhuitou, Wuzhizhou Island, Haitang Bay, and Nanshan Cultural Tourism Zone. Book your sky adventure at www.yltyhk.com. An intimate retreat with your beloved one could be one you’ll always remember at The Ritz-Carlton Sanya, Yalong Bay. Unparalleled views of Yalong Bay get more charming when you share with someone you love, whether it’s a romantic candle-lit dinner or fun activities at the beach. Enjoy biking along Yalong Bay, water polo, kayaking, and fishing in warm weather all year long at Sanya, your perfect tropical getaway. 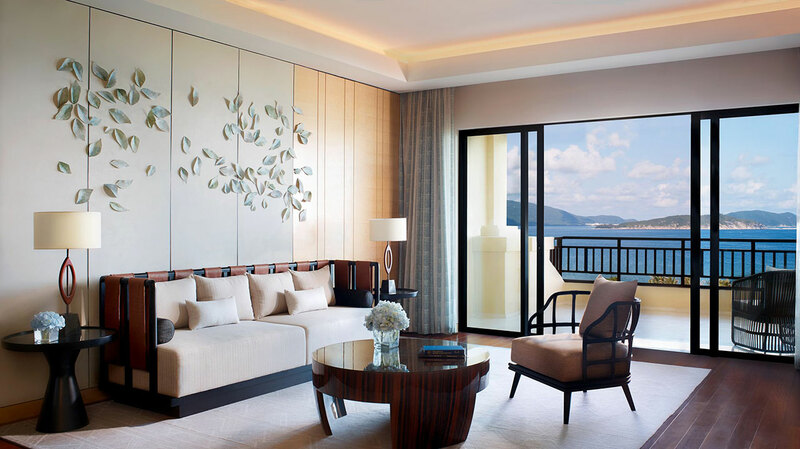 Stay elegantly in style in the luxury Park Hyatt Sanya. 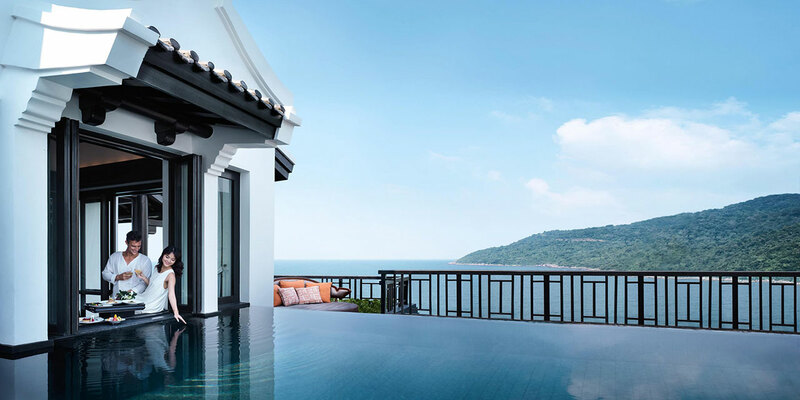 The guestrooms command captivating panoramas of South China Sea with a private strip of pristine beach. Park Hyatt Sanya is also located in Baifu Bay which offers one of the best dive conditions in China with over 10 meters of visibility in the crystal-blue waters, as well as a host of coral reefs, tropical fish, and exotic shells. Besides unique Park Hyatt experience, the hotel also provides world-class facilities and services for unforgettable events, including romantic weddings, exciting corporate meetings, and private parties. 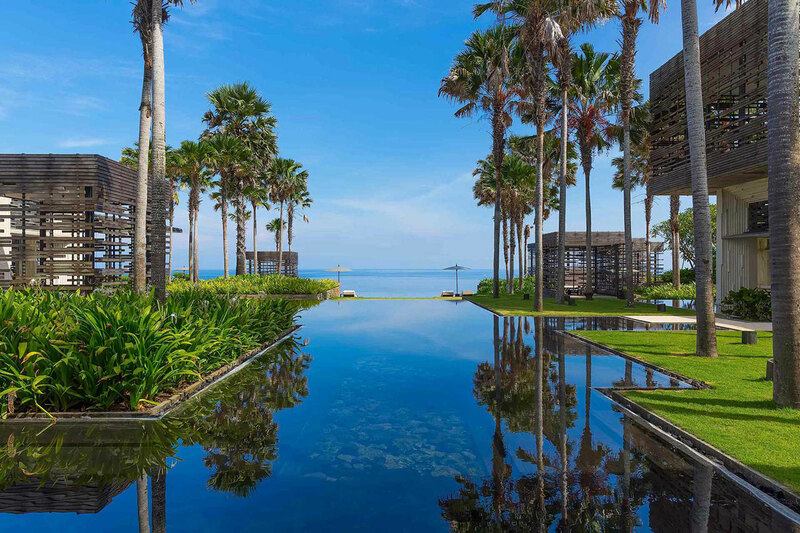 Phu Quoc is dotted with hundreds of uninhabited islands, but recent eco-friendly developments have been opening up some of these rare untouched jewels to the world with private resorts and 5-star hotels. Unlike many famous and over-crowded beaches around the world, the well-preserved beach of Phu Quoc stretches 150 kilometers and peacefully caressed by champagne-like effervescent waves. 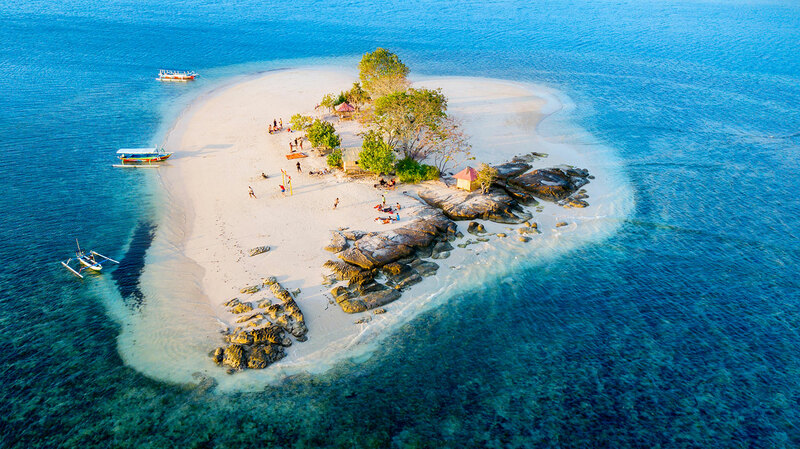 Out of all the islands in Phu Quoc, HonXuong or The Robinson Crusoe Island is considered to be the most beautiful and can only be accessible by boat. It’s best to visit Phu Quoc from November to March when the average temperature is at a mild 30 oC. Things to do: Phu Quoc has a uniquely lively culture, especially its food. Visit rural areas of Phu Quoc, meet friendly locals, and try exotic dishes. Water activities are also the highlights of Phu Quoc. Head out to various snorkeling and diving sites and you’ll be able to spot a varieties of marine animals such as nudibranchs, cuttlefish, octopus, and scorpion fish, as well as various crustaceans and anemones. For an exclusively luxurious lifestyle, rent a yacht and plan your own excursion to the beautiful islands, including Anh Tay, Kim Quy, Fingernail, Rut and Dam Ngang. Phu Quoc has a uniquely lively culture, especially its food. Visit rural areas of Phu Quoc, meet friendly locals, and try exotic dishes. Water activities are also the highlights of Phu Quoc. Head out to various snorkeling and diving sites and you’ll be able to spot a varieties of marine animals such as nudibranchs, cuttlefish, octopus, and scorpion fish, as well as various crustaceans and anemones. For an exclusively luxurious lifestyle, rent a yacht and plan your own excursion to the beautiful islands, including Anh Tay, Kim Quy, Fingernail, Rut and Dam Ngang. Located in the untouched north western part of Phu Quoc, Nam Nghi is a small island oasis with stunning grounds that boast a combination of natural elements and tasteful, environmentally sustainable architecture, emphasizing both natural materials and contemporary Vietnamese design. The stunning design is equally matched by the magical ocean views from the windows of your private room. Experience the wonderous vibe of Emerald Bay at JW Marriott Phu Quoc Emerald Bay Resort & Spa. 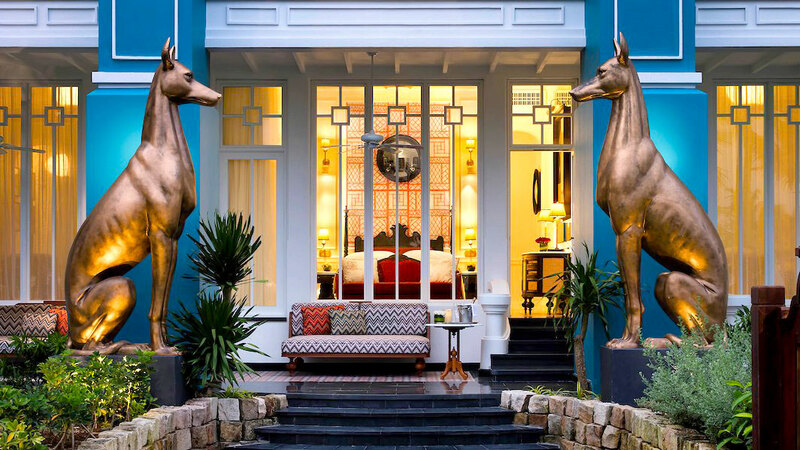 The resort was designed by famed architect, Bill Bensley, as an abandoned 1890s French university, giving it intellectual and classy atmosphere, which is enhanced by European-style furnishings and Asian touches. JW Marriott Phu Quoc Emerald Bay Resort & Spa is completely “unique” in its own way and the only way to feel the complete experience is to stay here. If Phu Quoc is a little isolated for your taste, Danang is more likely be the destination you look for. 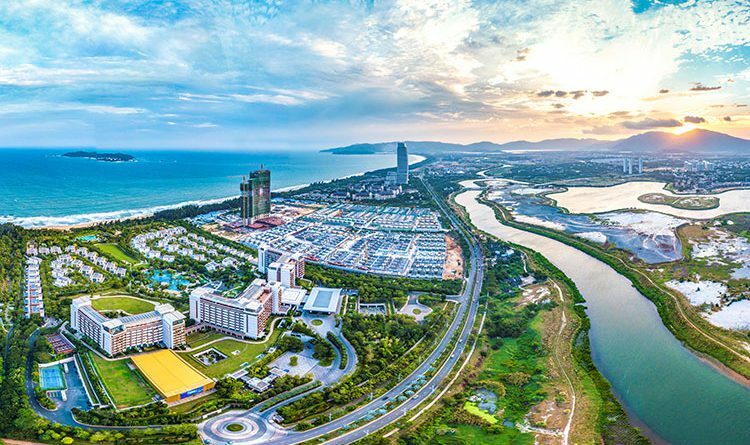 Find yourself surrounded by white sand beaches, lush rainforest, and diversity of cultural attractions, including temples and museums, but one of the most famous destination in Danang no one should miss is Bana Hill. Sitting on top of a mountain, Bana Hill once was the getaway resort for French colonialists, but now it transformed into Danang’s most popular eco-friendly resort. The resort resembles a medieval French village with a glorious church in the center, a hotel, restaurants, cafés, and souvenir shops surrounding the church. 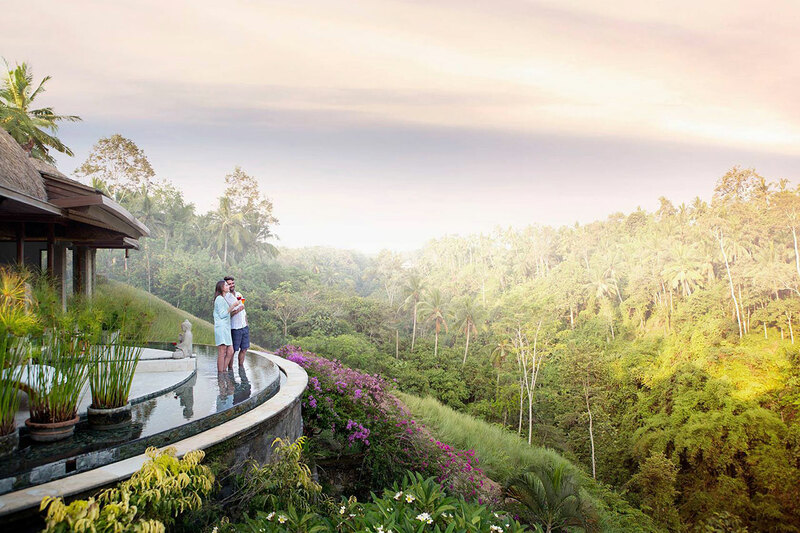 Beautiful fountains and gardens, as well as spectacular views of the whole city and the beaches also make Bana Hill a magical place for a pre-wedding photoshoot. Things to do: The journey up the mountain to Bana Hill itself is a must-do activity. Ride world-longest cable car above waterfalls and into the cloudy peak where the fascinating resort lies. Get your adrenalin pumping on the resort’s alpine coaster that sneak inside huge and treacherous twisting tubes. 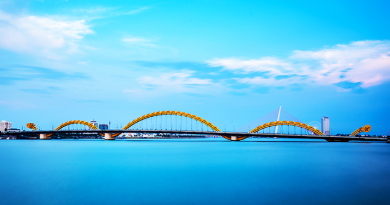 Explore the hidden gems of Danang, including D’Amour flower garden, old Debay wine cellar, and Linh Ung Pagoda, on Vietnam’s first funicular tour by Garaventa. The journey up the mountain to Bana Hill itself is a must-do activity. Ride world-longest cable car above waterfalls and into the cloudy peak where the fascinating resort lies. Get your adrenalin pumping on the resort’s alpine coaster that sneak inside huge and treacherous twisting tubes. 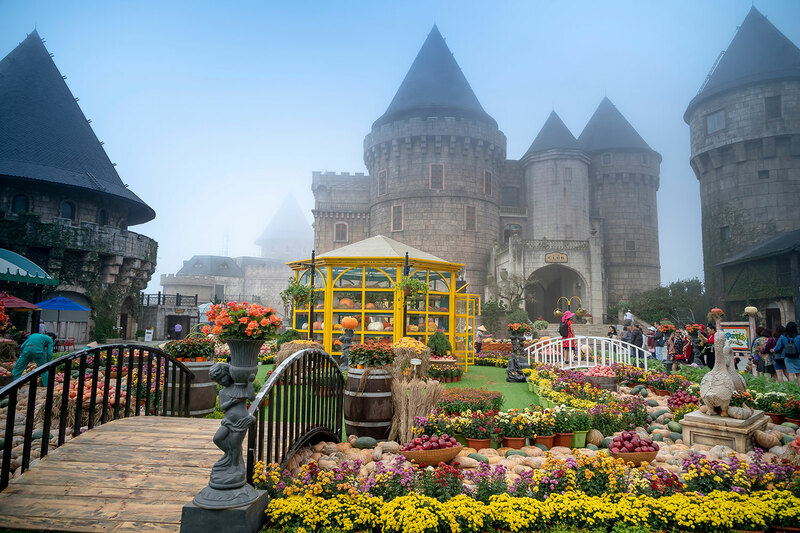 Explore the hidden gems of Danang, including D’Amour flower garden, old Debay wine cellar, and Linh Ung Pagoda, on Vietnam’s first funicular tour by Garaventa. Uniquely design by Bill Bensley with inspirations from ancient Vietnamese villages and temples, InterContinental Danang Sun Peninsula Resort is an outstanding resort in the heart of Son Tra Peninsula Nature Reserve in Danang City, and located just 45 minutes away from the world heritage city of Hoi An. The interior highlights luxurious furniture and décor with vivid white and red hues and can only be matched by the beauty of the ocean scenery at the front and majestic mountains at the back. 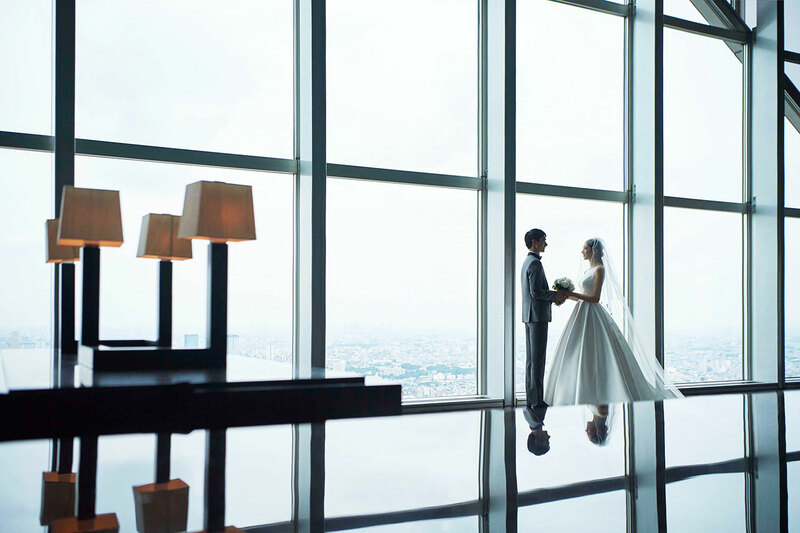 The captivating sceneries also make the perfect backdrop for a sweet wedding; add that to InterContinental experienced staffs and world-class facilities, and it’ll be the dream wedding you’ve always long for. Awake all your sense at Naman Retreat. The simple, yet bold and unique design of the private villa makes a great sanctuary for a perfect escape for the body and mind. Allow yourself to rest, do some Tai Chi or yoga in the morning, explore the surrounding on a hiking or biking trip in the afternoon, and find peace at the evening beach meditation. Every activity is designed to get you in touch with your own self and the nature, and you can also enjoy leisure activities such as traditional Vietnamese fishing, gardening, cooking/cocktail classes or basket boating. It seems like every corner of the fascinating island of Bali is a destination on its own. Of course, the beautiful beaches and the sea are the main attractions of Bali, but the temples, the mountains, villages, waterfalls, and even the rice terraces also make other parts of the island so intriguing. Every tree, every rock, and every local way of life on Bali has its own unique attraction, and the charm was shown to the world by Elizabeth Gilbert’s “Eat, Pray, Love” who told a story of a woman who searches for a missing piece of her life and finally found love in Ubud, Bali. Viceroy Bali is the door to the lush highland town of Ubud, sitting amongst rice paddies and dramatic ravines with monkeys swinging from tree to tree. The resort seamlessly blends itself to the surrounding nature and softly reflect the extraordinary natural beauty of Bali highland. The suite features extra tall bamboo ceiling, elegant marble bathroom floor, and a private infinity pool for the most romantic stay you’d find in Ubud. Address: Jln. Lanyahan, Br Nagi, Ubud, Bali, Indonesia. Uluwatu offers something for every taste, from pristine white sandy beaches to the majestic Uluwatu Temple. 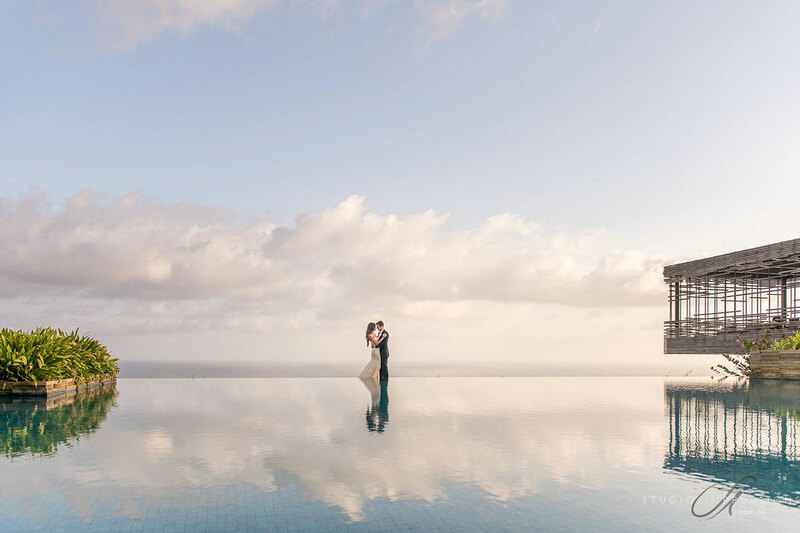 Alila Villas Uluwatu is a premier getaway resort in the enchanting area and the perfect answer for lovers looking for romance in an exotic setting. The resort is perched on a limestone cliffs 100 metres above the Indian Ocean, offering unparalleled panoramas of pristine white beach and unforgettable sunset. Lovers can also enjoy interesting activities like “anti-gravity yoga” or be pampered by ancient “Ayurvedic” treatments. Japan is undoubtedly the destination for lovers around the world. The country has everything anyone could wish for, from intriguing ancient traditions, extraordinary natural and man-made attractions, impeccable hospitality, world-class cuisine and fantastic accommodation. The best time to experience the wonder of nature is in February when almost all cherry blossom simultaneously blooms and turn the parks and mountains lovingly pink. 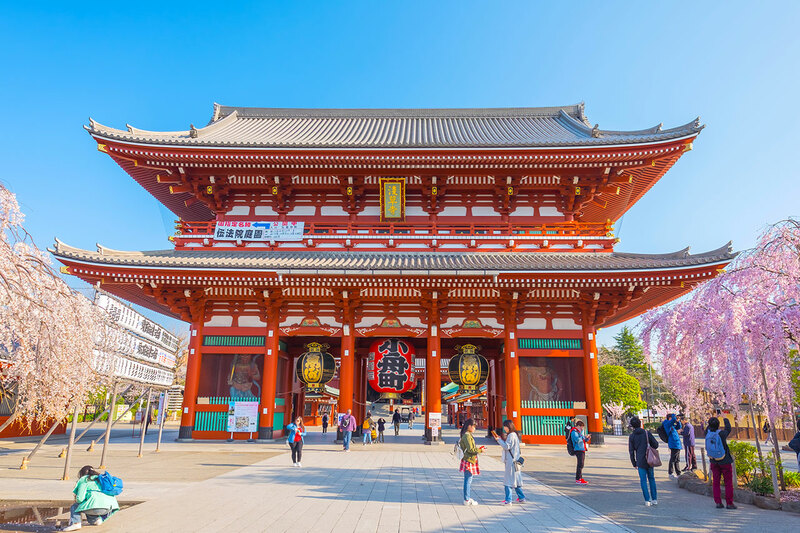 Be lost in the romantic atmosphere of Asakusa and stroll through Tokyo’s old town with your love one, and don’t forget to make a wish at Sensoji Temple. Take a romantic rowboat ride down Chidorigafuchi canal. Dress in traditional Japanese kimono and yukata as you walk down the street of Tokyo’s old town. Enjoy traditional Japanese tea ceremony, learn how to wear kimono properly, and get a hands-on experience on traditional Japanese cooking. The best thing about Japan, especially Tokyo is it’s easy to find delectable Michelin star restaurant no matter where you go. Surrounded by the colourful vibe of Shinjuku district, Park Hyatt Tokyo has been a luxurious hotel choice for international travelers for over 20 years and featured in the famous Hollywood film, “Lost in Translation”. The rooms and suites feel cozy and homely with traditional Japanese décor contrasting the bright neon lights of the busy district. Expect top class services and facilities, including the 65-foot swimming pool, which is surrounded by floor-to-ceiling windows. The Ritz-Carlton, Tokyo, prides itself as the tallest hotel in Tokyo, but that isn’t all the luxury contemporary hotel has to offer. 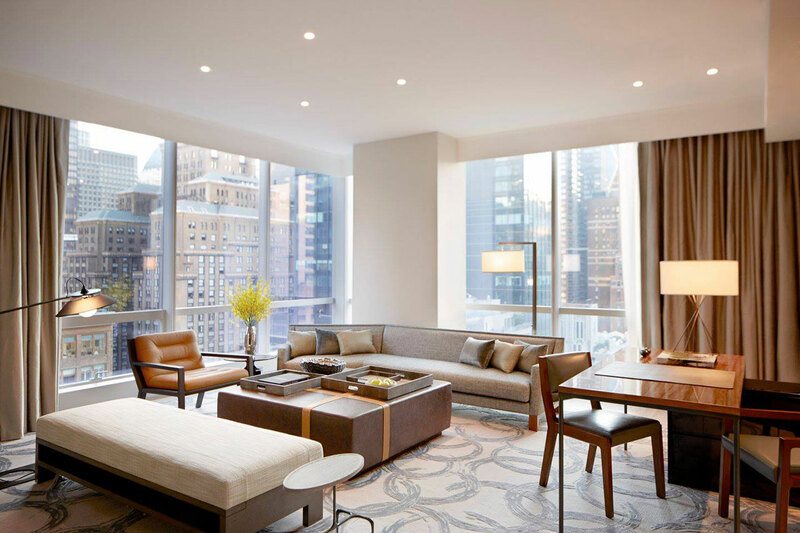 The aesthetic design of the rooms and suites is inspired by a thoughtful East-Meet-West design with cream marble floors, lacquered sycamore, and luxurious silver-grey fabrics. Besides top amenities, the most outstanding part of the guestrooms is the views of the iconic “Fujisan” and “Tokyo Tower” right outside your windows. The hotel also offers tea and sake classes where you can learn traditional way of preparing and drinking the two famous Japanese beverages.